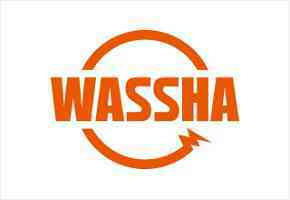 WASSHA INC is an international company from Japan dealing with solar energy business with affordable price to Tanzanians. The main office is in Dar es Salaam and operates in thirteen other regions of Tanzania and continuing to expand in rest regions. The company is looking for Marketing Officer who will expose his/her experience, knowledge and skills to contribute in company success and development. The company is an equal employer. for new products or services. Marketing Officer contribute to and develop integrated marketing campaigns. Recruit, evaluate and support potential agents who can be WASSHA agents before installation. Install whole WASSHA equipment into potential Agents and train operators who are in charge at shops. Support WASSHA agents in order to solve their challenges and increase the sales after installation. Supporting the marketing director and other colleagues. Any other assignments as may be given by your superior. 3. Application letter , Current CV, academic and birth certificates. CV should indicate relevant experience based on previous tasks and skills that you are bringing into the organization. 4. Application letter subject and e-mail should indicate the location of the position. Application deadline is on 27th February, 2019. Telephone calls will not be entertained.